Since the emergence of Islam on the modern political scene starting; from the Islamic revolution of Iran through the Rushdie affair to September 11 and beyond, a plethora of apologetic literature, both popular and academic, were produced to balance the existing bias with regards to public perception of Islam. 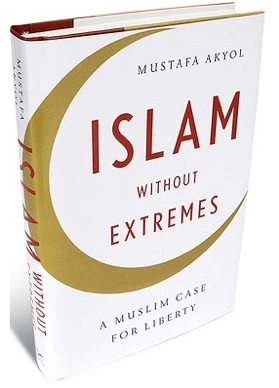 Akyol’s Islam Without Extreme: A Muslim Case for Liberty attempts to go beyond apology. It is an attempt by the author to show to the world that where Islam has become synonymous with extremism, at least an interpretation of Islam can conform to ideas of Western liberal democracy. After thorough research, he comes to the conclusion that Islam is not to be blamed for this oppressive mind-set. Under two further sub-headings: ‘understanding just how brutal Islam is,’ and ‘understanding how brutal non-Islam can be’, he comes to the conclusion that authoritarianism is not associated with Islam a priori. Rather authoritarianism is a symptom of an illiberal mind-set due to deep seated political cultures and social structures in that part of the world. This is also the case with non-Muslim countries such as Russia and China. In other words could authoritarian Muslims be authoritarians who just happened to be Muslims? Through personal experience, the author is convinced that the only way that Muslims will flourish is through embracing liberty in all its manifestations. The rest of the book is an attempt to prove why this is not impossible. In part 1, Akyol explains how Islam started off as an apolitical movement and how throughout the life of the Prophet a spirit of pluralism dominated the teachings of the Prophet. He then goes onto to discuss how Muslims, post- the Prophet, developed an illiberal reductionist understanding of the religion. The culprit to be blamed for this is Mr Hanbal (sic) ‘the radical cleric’ and a ‘petty landlord’ the chief of the literalists (ahl al-Hadith). A literalist reading of the Qur’an coupled with excessive reliance on hadith texts, which was like a ‘telephone game’, created a culture that heavily imposed limitations on the intellect. In contrast, the Murji’ites (postponers) in particular Abu Hanifa (?) were true pluralists as they postponed judgements about people to God. Their offshoot the Qadrites and the Mu’tazilites (the rationalists), through their arguments for the freedom of will and ontological truth and justice sowed the first seed towards an Islamic liberalism. However with the literalist gaining the upper hand Islamdom was reduced to a ‘Hadith wasteland’. The defenders of reason stood no chance against their opponents. How could they when even the forces of nature were against them? Akyol believes that the war of ideas between the rationalists and their opponents is only the tip of the iceberg. The real cause of difference lies in the ‘desert beneath the iceberg’ and even as deep down as the environment. To put it simply, hadith scholars where of Arab Bedouin stock, fatalistic, tribal, ‘dislike changes as per Arab culture’ , ‘communal in nature’, ‘anti-luxurious’ had a penchant for the concrete and an aversion for the abstract iqta’ loving landlords who lacked dynamism and were followed by the less-educated classes. In contrast, the rationalists where non-Arabs from the merchant class who were well-educated, cosmopolitan intellectuals with an exposure to various traditions, philosophies and people. The arid land of the Middle East with its flat topography is also, at rock bottom, a perpetrator in fashioning this illiberal mind-set. This analysis leads the author to ask that if the lack of economic dynamism was a cause for the stagnation of Islam, can Islamic liberalism be revived through a rebirth of economic dynamism in the Islamic lands? To answer this question the author turns his attention, in part two of the book, to the case of modern Turkey. Section three is an exposition of three key areas which the author had identified as hindrance towards a theology of liberty: They are freedom from the State, freedom to sin and freedom from Islam. Through an analysis of textual and historical sources, he arrives at the conclusion that for an individual to prosper in spiritual growth, no outside forces can interfere with his relation to God. Hence the Islamic State is not a requirement, a person should not be coerced into leaving sins which is not synonymous to crime and a person should be given the liberty of renouncing Islam without the fear of execution. At this point a few observations are in order. First and foremost, this book is trying to do more than the pages would allow and therefore a lot of the discussions are superficial and not nuanced. For example any discussion on environmental determinism in understanding the mind-set of hadith scholars has to explain the fact that six out of six of the authors of the canonical hadith collections were not Arabs but Central Asians. The author gives the impression that the al-Maturidi was sympathetic towards the Mu’taziltes whereas al-Maturidi wrote no less than five refutations on the Mu’tazilites. There is also an issue of the sources that the author uses. One wonders why the author confines himself to the studies carried out by Schacht, Crone, Lewis on hadith and not consult the works of scholars such as Motzki, Jonathan Brown, Lucas to get the other side of the story. The author argues that the roots of individualism and liberalism are found in the Qur’an. One can argue that this is merely reading into the Qur’an what the author holds to be of value. This is not new, Ameer Ali found in the Qur’an the whole moral code of Victorian England and Muhammad Qutb read the Qur’an through socialist lens. In the last section the author states that alcohol should not be banned and in a country where alcohol is banned it cannot be proven if people are observant of the law. Whilst in theory this is true, how pragmatic is it? Why criminalise drugs or prostitution if it is consensual and there is no exploitation involved? In conclusion it can be said that if this is an apology for Islam the author has done a good job. On the other hand if this is a serious attempt to reform Islam and is meant for practicing Muslims, the author needs to carry out original research and not weave a narrative out of secondary sources especially the works of anti-Muslims like Bernard Lewis and Bat Ye’or and the tabloid press. One has good examples of this in high quality research carried out by Muslim scholars such as Sherman Jackson. UPDATE: The PDF file of this book is available for download here. The book Silk Letter Movement is a historical description of the heroic struggle waged by the Muslim scholars of Deoband (between 1913 to 1920) for the freedom of India. It aimed at overthrowing the British rule from India by allying with Ottoman Turkey, Imperial Germany and Afghanistan. The movement was named after the ‘Silk Letters’ from Maulana Obaidullah Sindhi captured by Punjab CID. This book is based on the British India records of ‘Silken Handkerchief Letters Conspiracy Case’ which are now preserved in India Office London. Attached is a 320-page Microsoft Word document of the Muqaddimah of Ibn Khaldun (732 AH – 808 AH), the well-acclaimed and celebrated Muslim historian. The file is in Arabic. Written more than twenty years ago, this book is one of the most creative and original works of a Muslim thinker in the contemporary Muslim world. The author deals with fundamental problems faced by contemporary Muslims and provides real solutions, beginning with a discussion on ‘The Contemporary Western Christian Background’ in Chapter (I), followed by his analysis of the concepts (which he newly defines) of ‘secular’, ‘secularization’, and ‘secularism’ in Chapter (II). All this is then contrasted in Chapter (IV) of the book entitled ‘Islam: The Concept of Religion and the Foundation of Ethics and Morality’. Based on all the preceding explanation, the author proceeds to analyze the Muslim ‘dilemma’ by declaring that it should be resolved primarily through what he calls the “dewesternization of knowledge” or, conversely, the “islamization of contemporary knowledge”, an original concept conceived and elucidated by the author for the past three decades. Numerous original and profound ideas are contained in this book—arrived at chiefly through critical study of the Muslim tradition—such as the concepts of din,‘adl, hikmah, adab, ma‘na, and ta’dib, and their significance in the development of an Islamic system of education. The rationale for the islamization of contemporary knowledge and the establishment of a truly Islamic university was in fact provided for the first time in contemporary Muslim thought by this author long before the appearance of the present book, which explains these interconnected subjects more concisely. Further, the appendix entitled, ‘On Islamization: The Case of the Malay-Indonesian Archipelago’ is an actual explanation and application of the seminal ideas discussed in the book. This is a must read for all Muslims and those concerned with the problems and effects of secularization in our world today. This book has been translated into most of the major Islamic languages of the world— Turkish, Arabic, Urdu, Indonesian, Bosnian, and Persian. In 1987, with al-Attas as founder and director, the International Institute of Islamic Thought and Civilization (ISTAC) was established in Kuala-Lumpur. This institution strives to bring an integrated Islamization into the consciousness of its students and faculty. Al-Attas envisioned the plan and design of every aspect of ISTAC, and has incorporated Islamic artistic and architectural principles throughout the campus and grounds. The process of creation or bringing into existence and annihilation or returning to non-existence, and recreation of similars is a dynamic existential movement. There is a principle of unity and a principle of diversity in creation. “The multiplicity of existents that results is not in the one reality of existence, but in the manifold aspects of the recipients of existence in the various degrees, each according to its strength or weakness, perfection or imperfection, and priority or posteriority. Thus the multiplicity of existents does not impair the unity of existence, for each existent is a mode of existence and does not have a separate ontological status” [On Quiddity and Essence, p.33]. He clarifies that the Essence of God is absolutely transcendent and is unknown and unknowable, except to Himself, whereas the essence or reality of a thing consists of a mode of existence providing the permanent aspect of the thing, and its quiddity, endowing it with its changing qualities. Islamic science must interpret the facts of existence in correspondence with the Qur’anic system of conceptual interrelations and its methods of interpretation, not the other way around, by interpreting the system in correspondence with the facts. Since the role of science is to be descriptive of facts, and facts undergo continual change by virtue of their underlying reality which is process, modern philosophy and science, in a secular way, consider change to be the ultimate nature of reality. Al-Attas maintains that reality is at once both permanence and change, not in the sense that change is permanent, but in the sense that there is something permanent whereby change occurs. Change does not occur at the level of phenomenal things, for they are ever-perishing, but at the level of their realities which contain within themselves all their future states. Al-Attas advocates that the categories of knowledge which were fundamental to the Islamic tradition are fundamental to any real modern education. In the traditional Islamic worldview, knowledge was of two kinds, the open-ended fard kifayah knowledge, which includes the natural, physical and applied sciences, and the fard `ayn, the absolute nature of the knowledge pertaining to God and the spiritual realities and moral truths. Fard `ayn knowledge is not static, but dynamic, and it increases according to the spiritual and intellectual abilities as well as social and professional responsibilities of a person. Contemporary modern knowledge needs to be delivered from its interpretations based on secular ideology. This requires “a critical examination of the methods of modern science; its concepts, presuppositions, and symbols; its empirical and rational aspects, and those impinging upon values and ethics; its interpretations of origins; its theory of knowledge; its presuppositions on the existence of an external world, of the uniformity of nature and of the rationality of natural processes; its theory of the universe; its classification of the sciences; its limitations and inter-relations with one another of the sciences, and its social relations” [Prolegomena, p. 114]. Science, according to Al-Attas, is a kind of ta’wil or allegorical interpretation of the empirical things that constitute the world of nature [Islam and the Philosophy of Science, p. 116]. The natural world is a book with knowledge; but that knowledge is not evident merely from the physical phenomena; they are nothing but signs, the meaning of which can be understood by those who are equipped with proper knowledge, wisdom and spiritual discernment. Some natural phenomena are obvious as to their meaning, while other natural things are ambiguous; similarly there are clear verses (muhkamat) of the Qur’an, while other verses are ambiguous (mutashabihat). The scientifically relevant verses in the Qur’an necessarily open themselves for further interpretation, based on the cumulative knowledge of future generations. He says that the fact that the early Muslims were not cognizant of the many scientific truths embedded in the Qur’an proves that the discoveries of these truths will not contradict its universal spiritual and religious-moral teachings. Muslims everywhere are going through a period of uncertainty, turmoil and suffering. Throughout the world, there appears to be a concerted effort to wipe out the very presence of Muslims. Bosnia, Somalia, Algeria are the better known examples of this onslaught, but Muslims are under attack in many other countries. Kashmir, Cambodia, Burma are examples. Islam does provide an answer, but the answers for Muslims are different from the answers for non-believers. The causes for the elevation or degradation of Muslims are not the same as they are for non-Muslims. according to which a Muslim’s life can be conducted. It should be read and re-read. It should be studied carefully, so that full benefit can be derived from the advice and guidance of Hazrat Sheikh. (Sallallahu Alayhi Wasallam). May He make all of us think of and live our lives for the ultimate end i.e. success in the Aakhirat. Aameen.